What we're witnessing here - in my humble and uneducated opinion - is the organizing of new rules in the game of politics. All of a sudden their politicians need to be on par with them when it comes to their opinions regarding the State of Israel! What was important for the non-religious is just as important to the Satmorim. It's one issue (Israel) voting with a twist. I wonder if these same people are just as worried about what the goyim say in places like Williamsburg, Monsey, New Square and Kiryas Joel... If they're as concerned about the statements and actions made by and taken by the people in those communities. If the fact that 100% of non-Jews would tell you that they get preferential treatment and that Jews are rude and disgusting to their neighbors; if that bothers them as much as Hikind's statements about Obama, which really nobody cares about except these Satmorim. 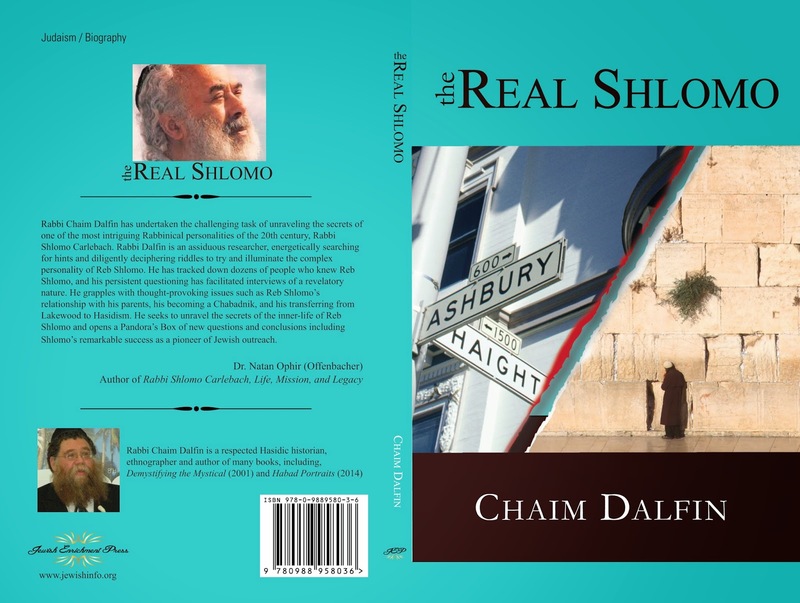 The non-binding name used here by the publishers of a graphic artist's dream doesn't tell us which of the many Satmar factions published this, but this has long been the opinion of all Satmar factions - way before their split. The fact that he's a disciple of Meir Kahane, the ריש בריוני, who long ago proved to the world that they hate us everywhere and always did, is a crime that Satmar cannot bear. And pay he must for that crime! It's just that up until now there was no real hope; Dov Hikind basically ran unopposed. So why waste your money? But this time around, with the demographics of Boro Park changing quickly, they figure they have a chance with Nachman Caller, who looks like he should be retiring right about now, not starting a political career... Now I realize that Mr. Hikind is not the only man that can ever represent the 48th AD, and that maybe it is time for him to go, just because we may need a fresh face representing us. But this is ludicrous! But tell me something I don't know. 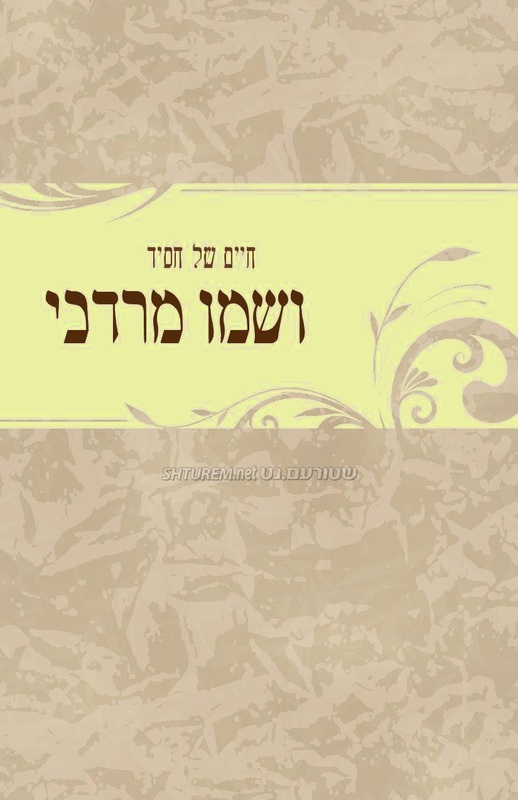 The zeide, The Tchabe Rov, Reb Shraga Shmuel Schnitzler, zt"l. Some of the old Tchaber Rov's eyniklach include The Nikolsberger Rebbe of Monsey, the badchen Yankel Miller, and the singer Michoel Schnitzler. The niftar was a mechutan with some of the Rebbishe world's biggest stars. 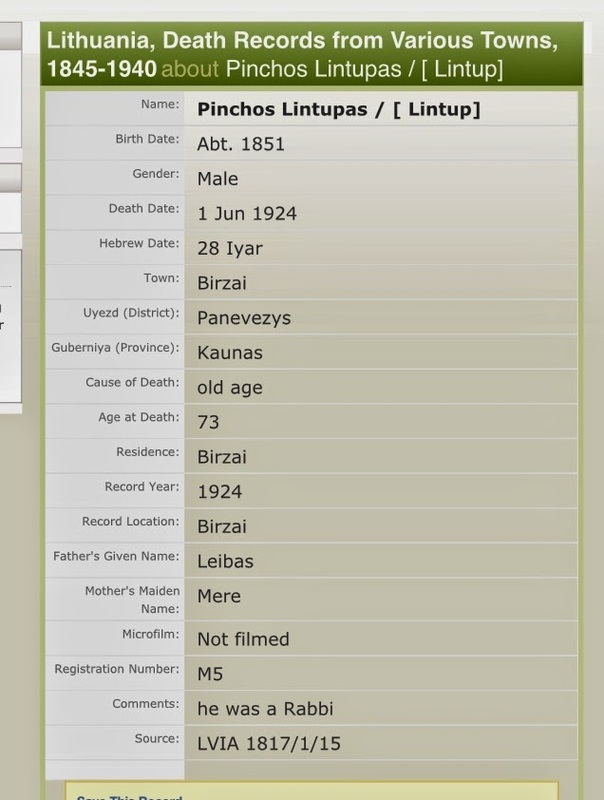 Remember you ran a story on Rav Pinchas Lintוp. 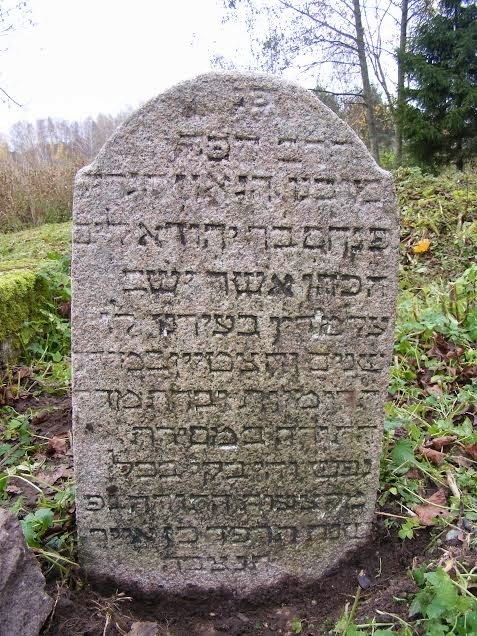 Well, his Matzeiva was just uncovered in Birzai, Lithuania. I thought this might interest you and some of your readers. 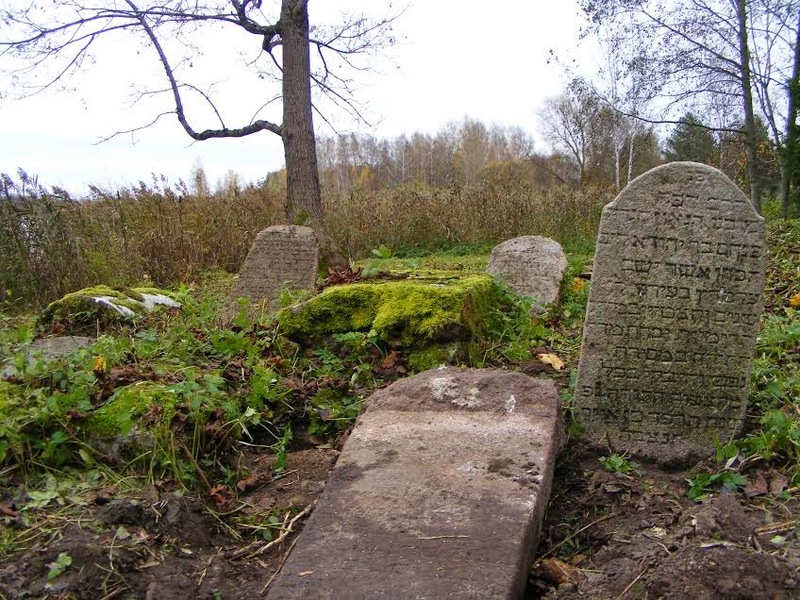 The goal of the good people who did this work is to document all the gravestones at the Birzai Jewish cemetery and to publish the epitaphs in Hebrew and in English with the photos on the web.If you want to support this project, you can make a donation via PayPal at shilklaper@gmail.com. 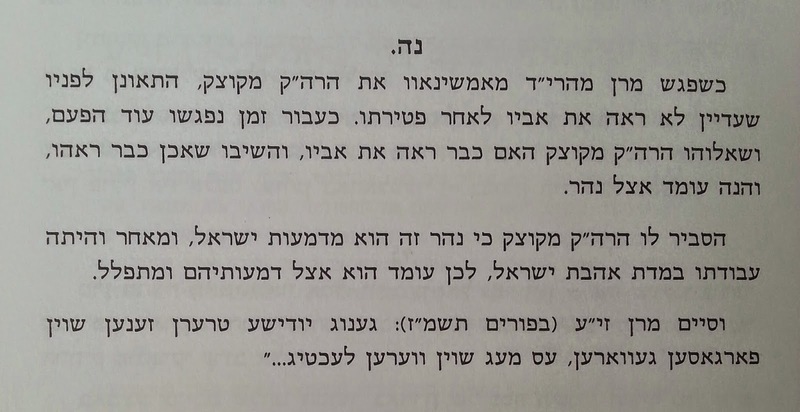 No, this isn't a tshuveh in Igros Moshe or Minchas Yitzchok, and not even Tzitz Eliezer, and maybe we don't pasken shayles in halochoh from stories of tzaddikim. (maybe we do?) But it's still nice. 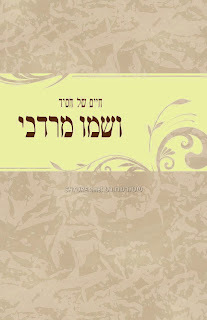 It's from Reb Itzikel Amshinover's memoirs. 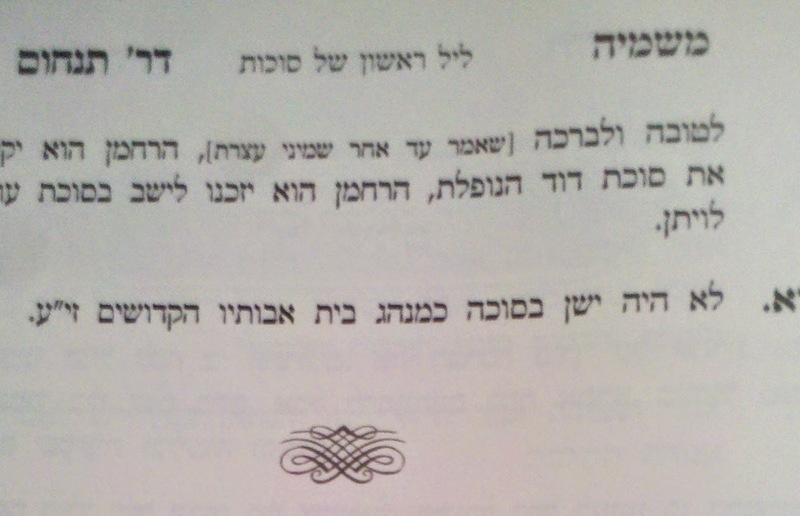 Reb Yaakov Duvid was the first Rebbe of Amshinov. And those who'd like to can use this as additional proof. Additional to other proofs we've brought here in the past. 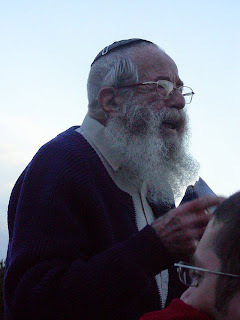 Like Shlomo said: "In Vorke loving people was the most important thing in the world." Well, he does use poetic license a wee bit. Scary stuff. But the story is still the same. Kind of. Then again, the Amshinover version looks abridged. The Rebbe and Rebbetzin. 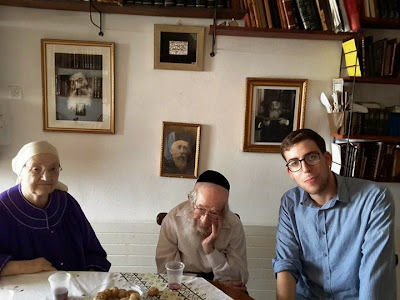 (FB photo) center photo on wall behind them is her zeide Reb Velvelle Rachmistrivker. Maybe it's the mystery. Maybe it's the "rags to Rebbe" aspect. Maybe we see some of our own shortcomings in him and it gives up hope. Maybe it's the kippot srugot with the gartel combo. Maybe it's the fact that he's just so approachable and friendly and warm. The fact remains that we can't get enough of the Pashkaner Rebbe and his return to what we see as his rightful place: at the head of a group of chassidim. 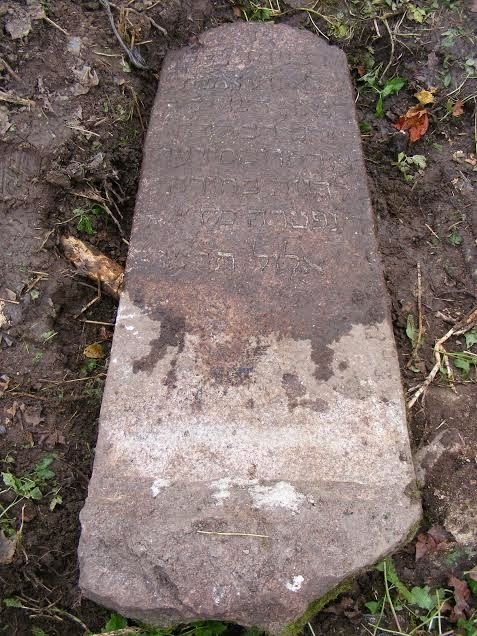 Then there's the Rebbetzin angle as well, but so far we've not seen any pictures of her. 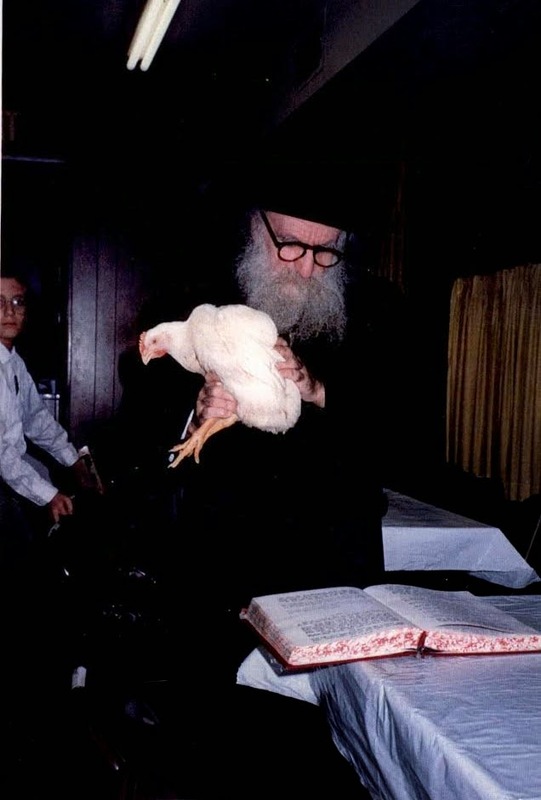 Not that we're judging; but we overlook anything we perceive as questionable - OK, not just questionable - in his past life just because we need people like him in the crazy בראנזשע that the Rebbe world has become. She loved and cared about each and every one of us. I think she'd be tickled silly if she saw what they were doing after she passed away. Because deep underneath it all was a Yerushalayimer meidel who probably had a wicked sense of humor. Who's behind this? The family? I don't know. But where have I seen this kind of project and the same words and catch phrases before? 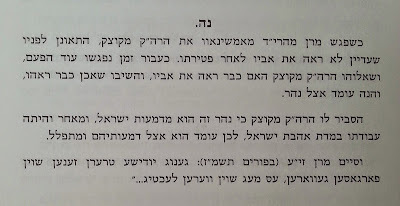 Kind of apropos for the holy Ruzhiner's Yohrtzeit is this article about his descendant in the Sukkos edition of Mishpacha. The problem is that by the time the censors are done with איז עס אן אויסגעקלאפטער הושענא. 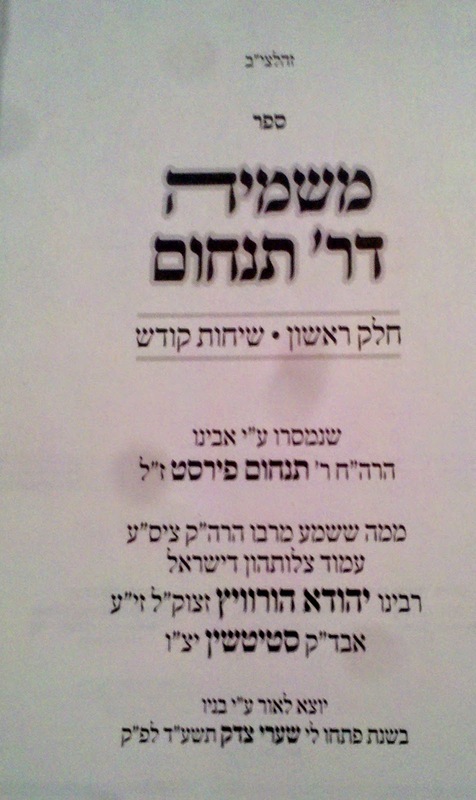 Not just the lashon horah, but even the geshmak, the charm, the beauty - it's gone. Reb Daniel Adler spent Yom Kippur in Washington Heights and davened at K'hal Adas Jeshurun. He has written a description of this experience.